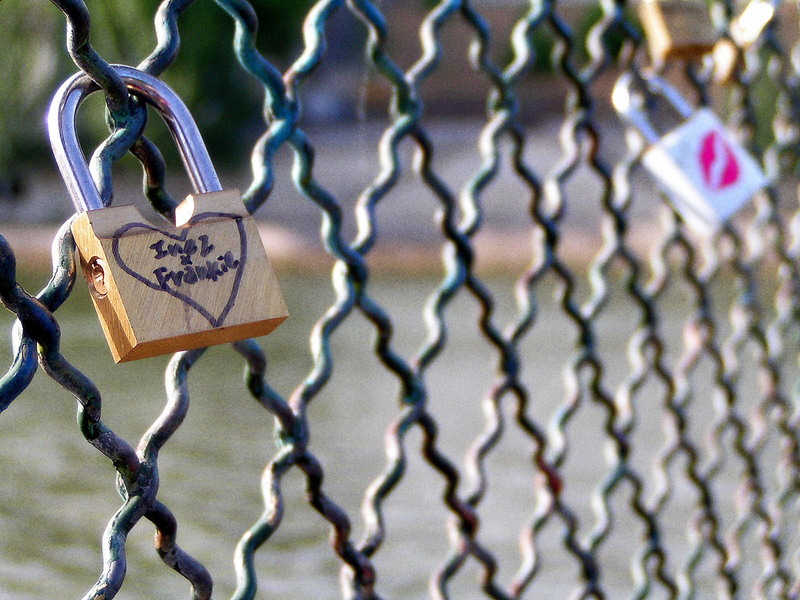 The metal mesh of the iron fence stretched like a wire spider’s web beside Luka and Jacqui. 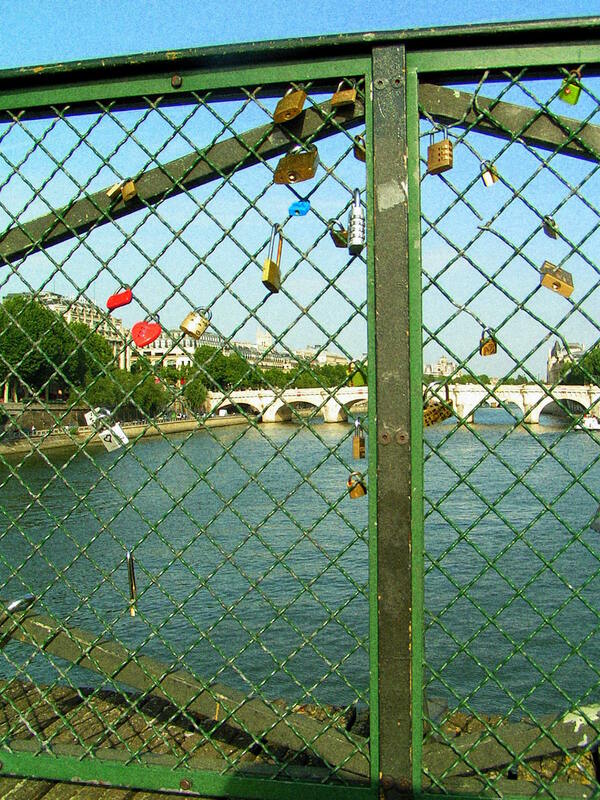 Sweat soldered their palms as they mounted the ramp of the Pont des Arts, but the sun’s discomfort beat the privation he’d known for the three months he spent locked in Paris’ La Santé prison. Jacqui’s silver bracelet clinked against Luka’s gold one, reminding him of the baby inside her that tied her to him. He feared she felt trapped, a prisoner, or stuck as a jailhouse door. He hated the thought of her leaving, but wanted to tell her that he would release her if that was what she wanted. Jacqui felt tension spring inside him as Luka broke free from his grasp and ran ahead. With Luka’s back to him, he approached the railing and he leaned over the void. 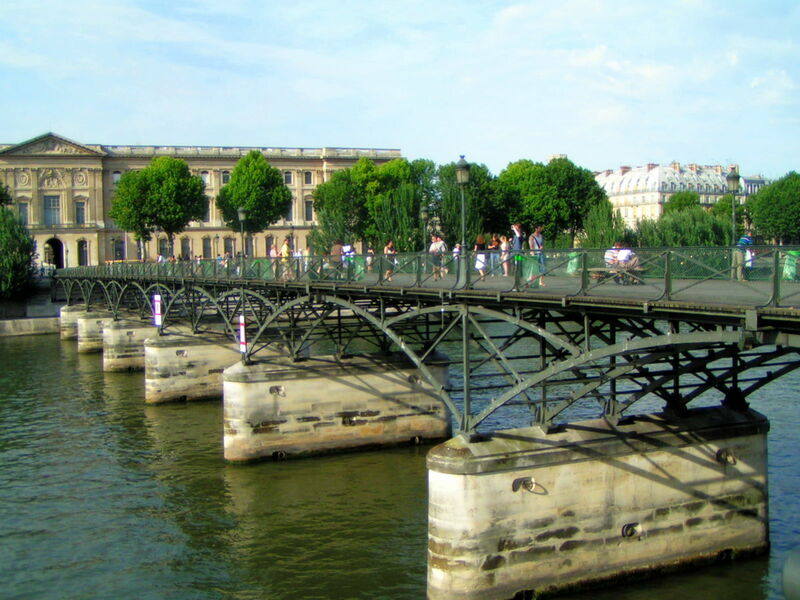 A breeze floating along the top of the Seine like a bateau mouche rose between the boards at his feet and swept over the bridge, bringing wisps of words cast by the lovers sitting on the benches or the ground as they sipped cool rosé as light as their laughter. “Look,” Luka giggled, reaching for him. 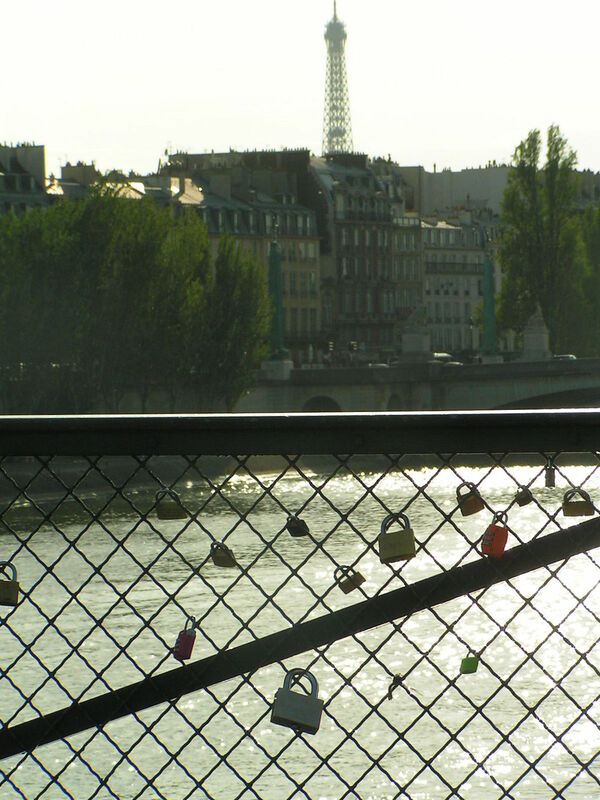 Braided into the barrier were padlocks of different shapes, sizes and design. 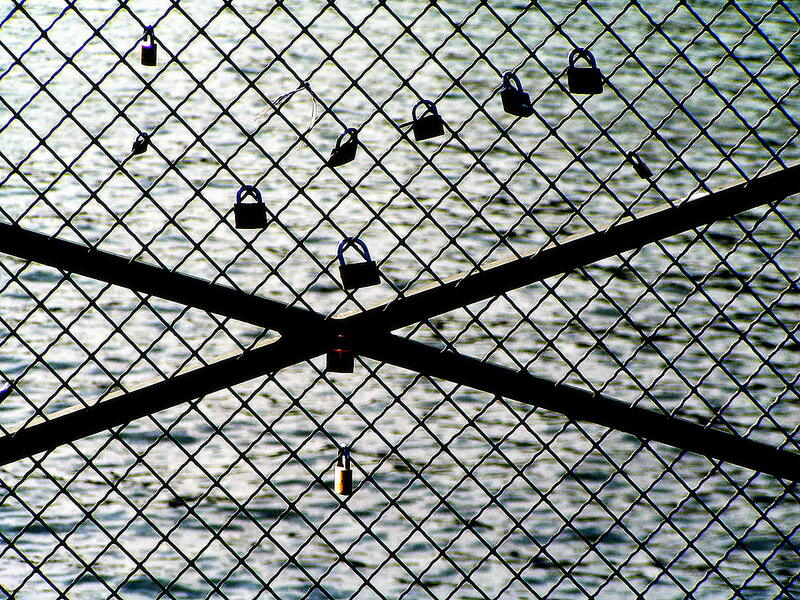 They clung gleaming to the tresses of the fence, hung on the lattice that stretched like a musical staff with love notes etched into the locks to compose a heartfelt ballad. Luka locked him in an embrace and rested her lips beside his ear. What she whispered made him feel freer than he had since his release three days earlier. If you’re interested in the full photo spread from this shoot, please visit my photo blog Paris Inspired Photos.